A multi-page website for a small personal trainer running bootcamp classes and personal training. MH Elite Personal Training is a small business based in Lincoln, run by Mick Hurst. 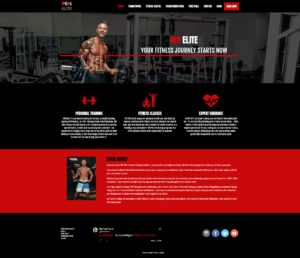 Mick wanted a new website that looked more modern and tied into the class booking system, as well as a blog with which he could provide news updates, fitness tips and nutritional advice. 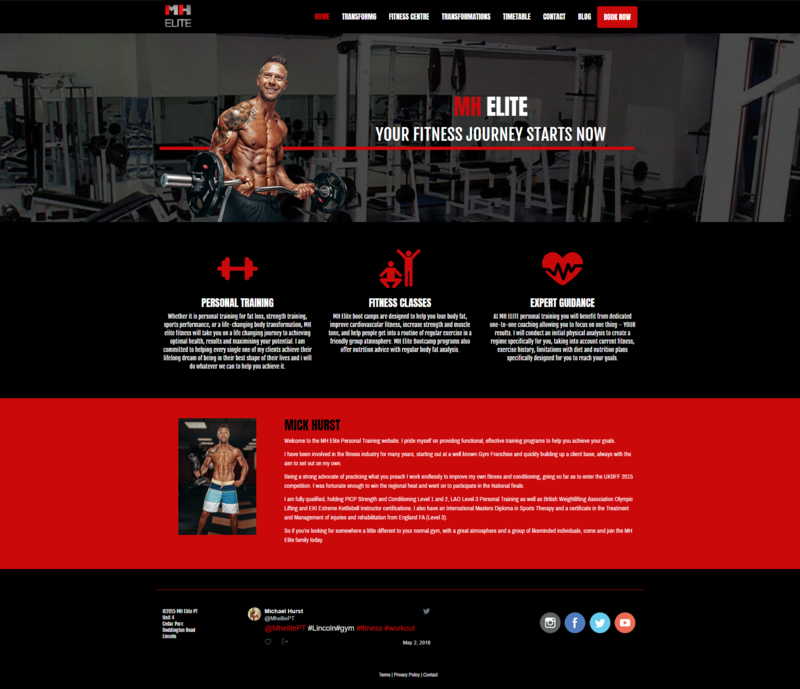 Key to the MH Elite website was the links to social media platforms, which Mick uses heavily to announce class changes, and provide daily updates on what is happening at the gym.